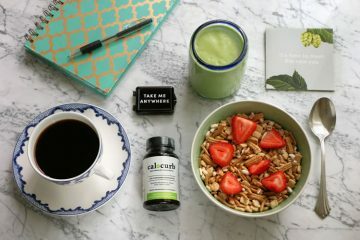 I think we can all agree that the constant stream of skin care products, tools, and treatments coming out promising this benefit or that benefit can sometimes get a little overwhelming. Not only can it be hard to keep up with but you have to spend lots of money trying to make sense and figure out what really works. What if I said I truly actually 100% found something that works? Hand to heart, I swear. What if I told you I actually used something that can give your skin a super-luminous glow? 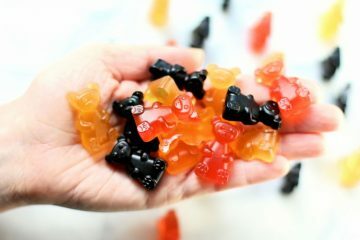 You know the one you had before the house, before the kids, before the career and the pile of school loans. Did I also mention it will save you lots of money, trips to the spa or doctor’s office and you can do it in just 5 minutes a couple times a week right in your own home? And guess what else? You’ll actually see real results after the first treatment? Yes, I am being real right now. So, Heather what is this magical device you ask? I will tell you. It’s the MicrodermMD by Trophy Skin. It’s a professional-grade home microdermabrasion system that helps remove those layers of dead and dry skin that build up over time making you look dull, tired and kind of blah. If you’re not familiar, microdermabrasion is a simple non-invasive, non-chemical method to gently exfoliate the skin and diminish those not so pretty signs of aging. Microdermabrasion might be simple, but it’s extremely effective. It’s also one of the gentlest and fastest anti-aging treatments available today. Help your skin to not only feel smoother but look smoother. Smooth fine lines and wrinkles. Reduce or remove acne scars. Reduce sun damage, age spots, and even skin tone. Minimize or clear up acne, blackheads, and whiteheads. Minimize and unclog enlarged pores. Help your makeup apply like a dream. Improve the absorption of skin care products. Firming and tone the complexion. Get you lots of compliments on how great your skin looks! While you used to have to make an appointment with a spa or doctor for a microdermabrasion treatment, those days are over. The same quality treatments provided by these types of skin care professionals you can now get right at home. 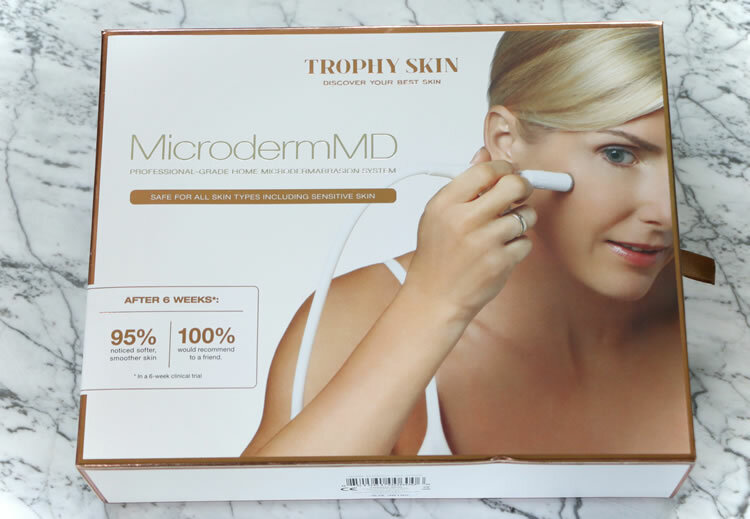 The MicrodermMD by Trophy Skin is one of the first professional grade microdermabrasion machines created and intended for home use. 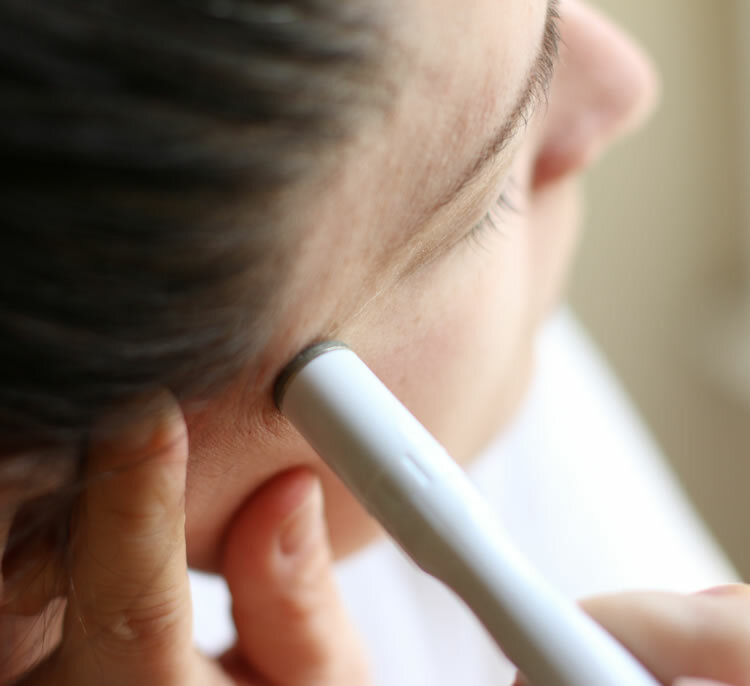 Using a Diamond Tip on the end of a wand, it mechanically exfoliates the top layer of dead skin cells while simultaneously vacuuming them away with suction. The suction action of the MicrodermMD also stimulates blood flow and nutrient delivery to the surface of the skin. This encourages the growth of healthy new cells including collagen and elastin for improved skin elasticity and texture. The result: your skin feels softer, smoother and it will look more radiant vibrant than ever. Who Should Really Get The MicrodermMD? I would say anyone who wants smoother, brighter and more youthful looking skin. It works wonderfully and is safe for all skin types. Guys can use it too. What’s Included With The MicrodermMD Machine? 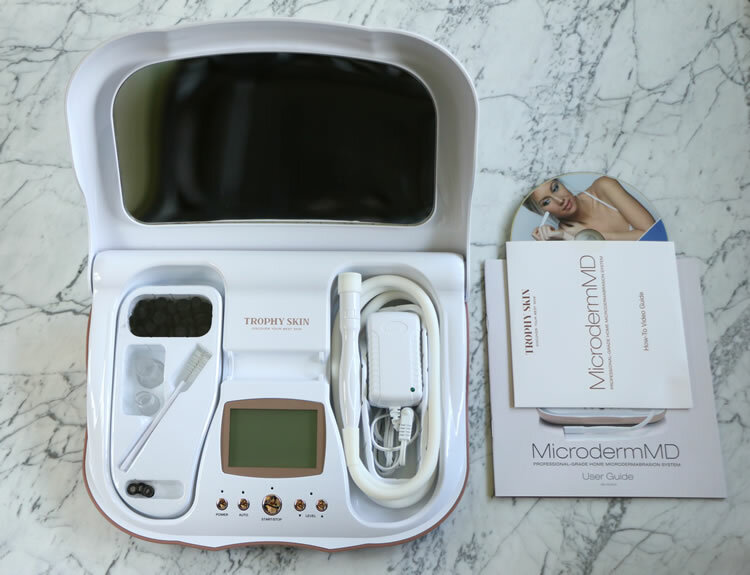 The MicrodermMD Machine: MicrodermMD is a professional-grade at home microdermabrasion machine designed to reveal fresh, glowing skin using a high tech combo of diamond exfoliation and gentle suction to buff away dead skin and promote cell turnover. This mechanical action on the skin reduces the appearance of wrinkles, dark spots, enlarged pores, and scarring while smoothing and softening. A Medium Diamond Tip: Medium coarseness and made with real natural diamonds, combined with suction from the machine this tip is what powerfully but gently exfoliates your skin. You can adjust the suction level on your device for more or less sensitive skin. It’s also crystal-free which means there are no harmful synthetic ingredients. For those with extra sensitive skin, Trophy Skin can provide a Fine Diamond Tip which is less coarse. A Pore Extraction Tip: This tip uses suction to gradually remove blackheads, whiteheads and excess oil deep from the pores. Use this tip at the lowest power level on alternate days of performing a microdermabrasion treatment. 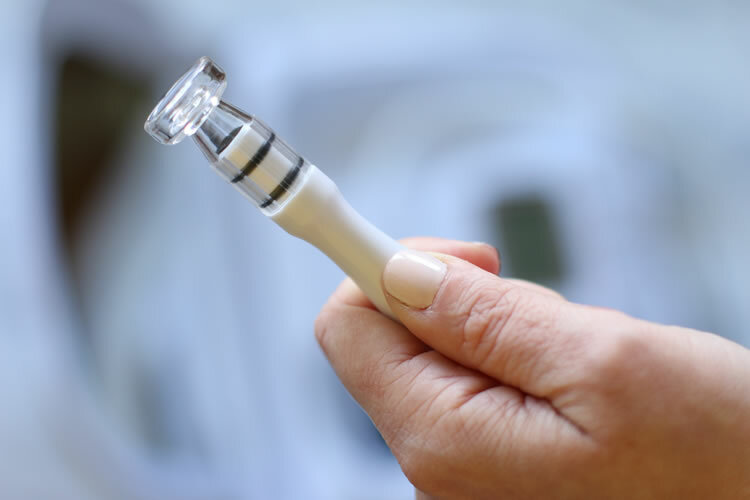 An Infusion Tip: This attachment will help you get the most out of your favorite serums, creams, and moisturizers. Put the machine on the lowest level and glide the infusion tip across your skin to drive the nourishing ingredients into your pores for maximum absorption. The vacuum suction also helps to improve circulation. 100 Filters – These tiny black filters protect the machine from clogging and ultimately damaging the suction motor. They also let you see what you removed from your skin. Is The MicrodermMD Hard To Use? When first taking the MicrodermMD out of the box you might at first think it looks complicated. I can assure you it is anything but. It is really so easy to use and it was intentionally developed with ease of use in mind. After you plug it in and turn on the power button you’ll hear the motor run for a couple of seconds and then go quiet. Then you’ll know it’s ready to use. With the Diamond Tip and filter properly in place you can pick from two settings: Manual or Automatic. For a beginner, I suggest starting with the Automatic Mode. 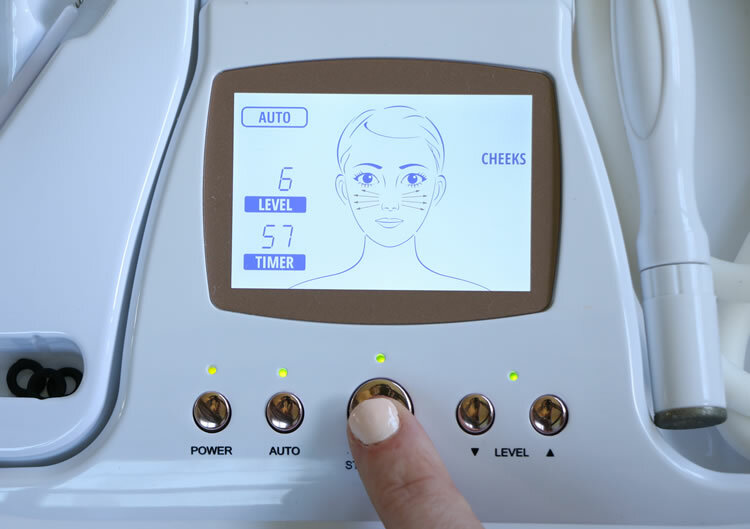 The screen will then guide you through a full microdermabrasion routine that includes your entire face, neck, and chest. All you have to do is watch the little screen and follow along. Each portion of your face has its own suction power pre-programmed and is timed at intervals telling you when to move onto the next part of your skin. All the while you are moving the wand across your skin while holding the skin taut. Short even strokes are best and it’s not recommended to go over the same spot more than 2 or 3 times. And if you’re not sure which direction you should be moving the wand don’t worry. Little arrows blinking on the screen will even show you the proper direction to move the wand for each skin part. This may all seem a little awkward at first, but after your first time, you quickly become a natural. 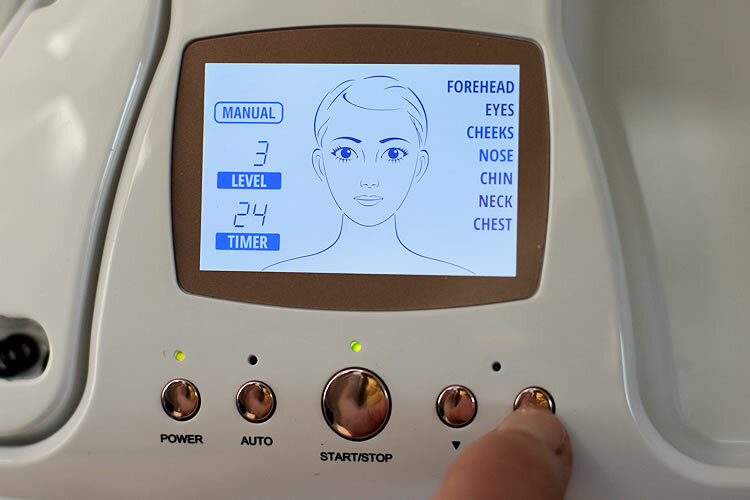 The Auto Mode is a 5-minute treatment including a full face and neck treatment. If you want to move onto other body parts like your hands, legs or scarred areas it may take a little longer. Once I used the MicrodermMD a couple of times I quickly got a feel for the settings and moved onto manual mode. On manual, you choose the suction power and amount of time you want to spend of each part of your skin. This is great because some days you may want a little more power and others a little less. Sensitive skin areas, for example, like just under the eyes should be treated with a lower power mode while less sensitive areas like your hands can withstand higher settings. You can even cycle through the suction power settings to see what feels right. In manual mode, it’s all up to you. What Happens When You’re Done With Your Treatment? After you’ve finished your treatment you simply rinse your face with cool water and apply your favorite anti-aging serum or moisturizer. Now comes the most rewarding part, besides the super glowy smooth skin. First, you remove the diamond tip on the wand. You’ll then see a little black filter that should now be covered in fluffy little white particles that look like dust. That’s not dust though. That would be your dry dead skin. That’s how you know it’s working! Throw that sucker away and replace it with a fresh filter so you’re ready for your next treatment. This protects the suction motor and keeps your machine running smooth. To clean the diamond tip just take the miniature bristle brush included in the kit and gently brush it across the top to remove any buildup. Replace it on the wand, unplug your machine, put everything away and you’re all set for your next treatment. Don’t forget to look in the mirror and admire your fresh, healthy glow! What Happened After My First MicroMD Treatment? What You Should Expect. The first thing I noticed after using the MicrodermMD for the first time was that my skin felt incredibly smooth. Like I couldn’t stop touching it smooth. I also noticed that my skin had a nice glow about it and looked tighter. My skin lost that dull look it had that could only be remedied with layers of foundation and some serious highlighter. And this is the thing that is so great about microdermabrasion- the instant gratification and visible proof that it actually works. You don’t have to wait weeks and months before you see any benefits. You will most likely see them after the first use. One of the greatest things about microdermabrasion is that it is completely non-invasive and after your treatment, you require zero recovery time. And even better: there’s no pain. It is often referred to as the ‘lunchtime facial’ because of how convenient and effective it is. In other words, you can actually leave the house right afterward and not get crazy looks from passersby. My mom has gotten a few professional skin treatments like chemical peels that have left her looking like someone threw a cup of boiling coffee in her face. I always joke and tell her to make sure they don’t forget to admit her to the burn unit whenever she has an appointment. So yeah. She needs a few days to heal up from that. With microdermabrasion, you’re good to go right after. No bag over your head required. The only thing you may experience after a treatment is a little bit of redness or sensitivity that should subside within a couple of hours. My redness after my first treatment went away within an hour or two and my skin felt great. After a microdermabrasion treatment, I make sure to apply my favorite soothing moisturizer or oil to calm the skin. Sunscreen after treatment is an absolute must if I expect to go outdoors or spend time in the sun. Microdermabrasion can make skin more sensitive to sunlight and burning. Although even a single treatment of microdermabrasion will leave you noticing the difference, for best results you should use the MicrodermMD regularly. There’s no doubt your skin will feel smoother in one session. Mine certainly 100% did. I’ve been using the MicrodermMD for almost 8 weeks now and I can’t believe the change in my skin. I noticed the little fine wrinkles under my eyes are barely there anymore I feel like I’ve just begun to see an improvement in some sun spots and discoloration. My pores are also beginning to show improvement. I can’t wait to see what my skin looks like 6 months from now. Reduction or elimination of blemishes and acne. 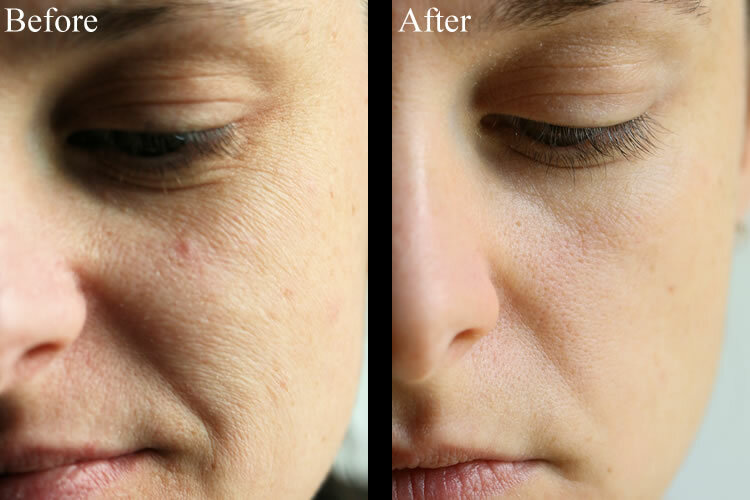 Diminished fine lines, wrinkles and acne scarring. Tons of compliments on how great your skin looks! Depending on where you go, a single microdermabrasion treatment can run anywhere from $75 to upwards of $300. While I love the results of microdermabrasion I’m not crazy about what it does to my bank account. So let’s do a little math. The Microderm MD is $299. With one treatment it pays for itself if you were to visit a doctor’s office or high-end spa charging $300 (which isn’t unheard of). 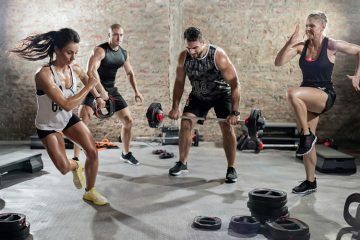 Any of these places will tell you that you need at least 4 to 6 sessions to start seeing real results, especially with harder to treat skin concerns like acne. 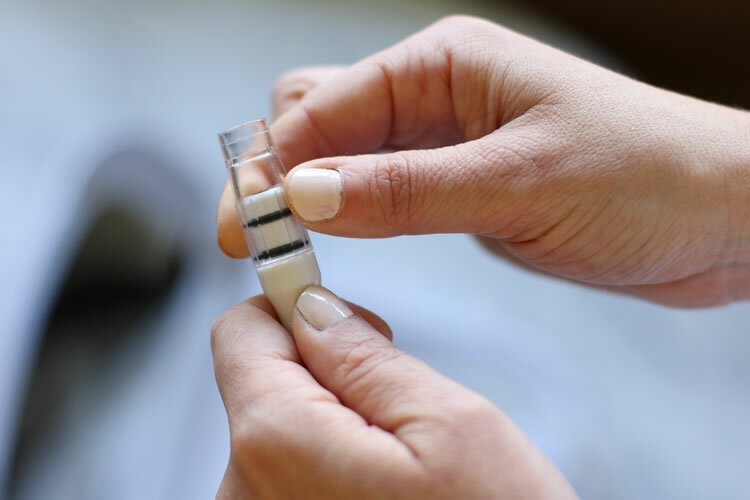 With 4 treatments the MicrodermMD pays for itself if you were to visit a spa or salon charging $75 per session. The MicrodermMD continues to pay for itself with every use. Either way that’s pretty amazing. It’s really a small investment in your skin. I like that I don’t have to worry about scheduling or showing up for microdermabrasion treatment appointments. With Trophy Skin’s MicrodermMD you do it on your time and when you’re ready. Five minutes two to three times per week is all you need. Personally, I like having my own tools that I know are just for me. I just feel a little more comfortable knowing where it has been and that it has cleaned properly. When you visit a spa or salon, although slim, there is a chance that the tools may not have been properly sanitized. And really you just can never be sure. With my own microdermabrasion machine, I know exactly how it’s been used, and feel a little better that it is meant for my skin and my skin only. MicrodermMD doesn’t just treat your face! With the large microdermabrasion diamond tip, you can use it for those spots on your body that are prone to dryness. It’s perfect for arms, legs, elbows, knees and the backs of your hands and feet. Microdermabrasion temporarily removes moisture so it is important to always follow treatment with the application of a good moisturizer or anti-aging serum. Microdermabrasion is not recommended if you have certain skin conditions like rosacea, eczema, dermatitis, sunburn, herpes, lupus, open wounds or sores, psoriasis, or any other serious skin condition. If you are questioning whether microdermabrasion is right for you, Trophy Skin has an on-staff esthetician available via chat, email or phone ready to answer any questions and provide treatment advice. You can also consult your doctor. While I’m 100% in love with the MicrodermMD I feel like there is always room to make a great product even better. I would love to see an adjustable mirror. The mirror on the back of the device case is fine, but you have to be sitting at just the right angle to be able to use it. I would also love to have a unit that is rechargeable where you don’t necessarily have to be near an outlet to use it. I can’t wait to see how this product evolves since it is already so incredibly effective. I have to say that I am obsessed with this little microdermabrasion machine. 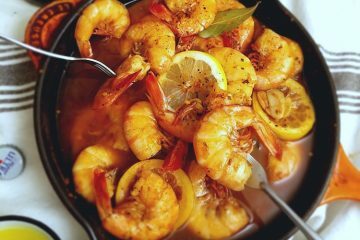 I’m not someone who is into fussy routines and I admit the instant results have me hooked. I think anyone who uses this machine will see a difference in their skin and will be just as hooked as I am. You’ll certainly feel the difference. And spending 5 minutes on your skin 2 to 3 times per week in your own home is way better than heading out to a doctor’s office or salon while spending tons of money. While it’s the instant gratification of smooth glowy skin that will keep me using the MicrodermMD, it’s the continued improvements ­in my skin that will keep me using it for the months and years to come. I can’t wait to see how great my skin will look in another year. If you want luminous glowing skin, visit TrophySkin.com to see how you can transform your skin at home! Coupon Code: To save 15% on your next Trophy Skin/MicrodermMD purchase enter coupon code BETTER15 at checkout! Giveaway: Don’t forget to subscribe to the TrophySkin.com newsletter to be entered into a monthly product giveaway valued up to $300! Could you show a photo with identical lighting? The before photo shows shadows and such (around eyes and mouth) and after does not (different light position), so cannot truly tell the difference, other than the lighting. Also there is a slight smile in the before photos creating wrinkles and no smile in the second. Sorry, but I just want to see the EXACT lighting and facial expression before engaging in shopping for a skin care product. Thanks! Hi Joy! These are all the photos we have at the moment, but we’ll be doing updates in the future. What I can tell you from my experience is that for me this machine is worth it. I love how smooth it makes my skin feel and the overall tone of my skin is much more even. I recently had my makeup done for an event and I was loving how smooth and flawless my skin looked. If you already get microdermabrasion treatments done professionally the Microderm MD will begin to save you money after just a few home treatments. 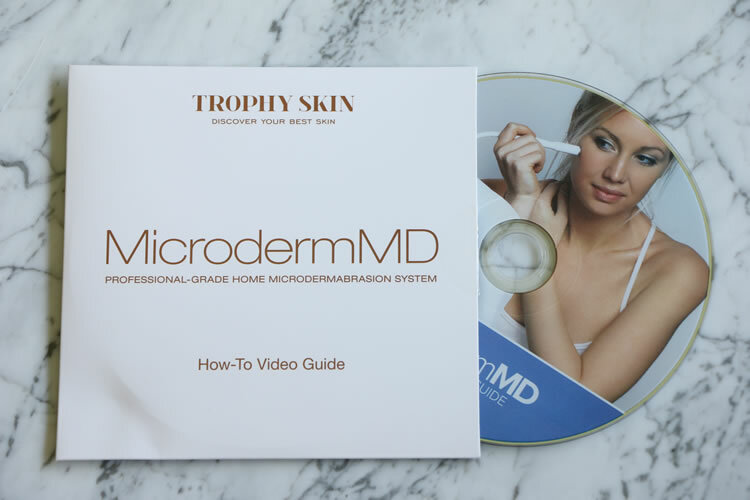 While everyone’s skin is different and results can vary from person to person you can also read reviews from other customers here to see what their experiences are: https://trophyskin.com/products/microdermmd.